The landing once again was smooth for such a small aircraft.It is anyway a wise thing to follow the instructions given by people in charge of adventure activities at all times! 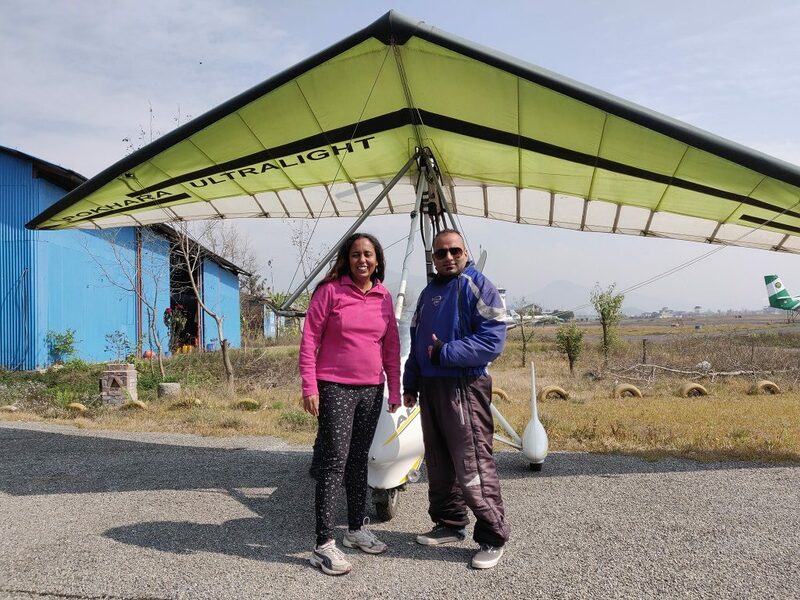 Binayak came to the Ultralight and started talking through his microphone! I realized he was talking to the air traffic controller! We were using the active runway and we needed permission to takeoff! .The take off was smooth and then I forgot everything and concentrated on the views below! 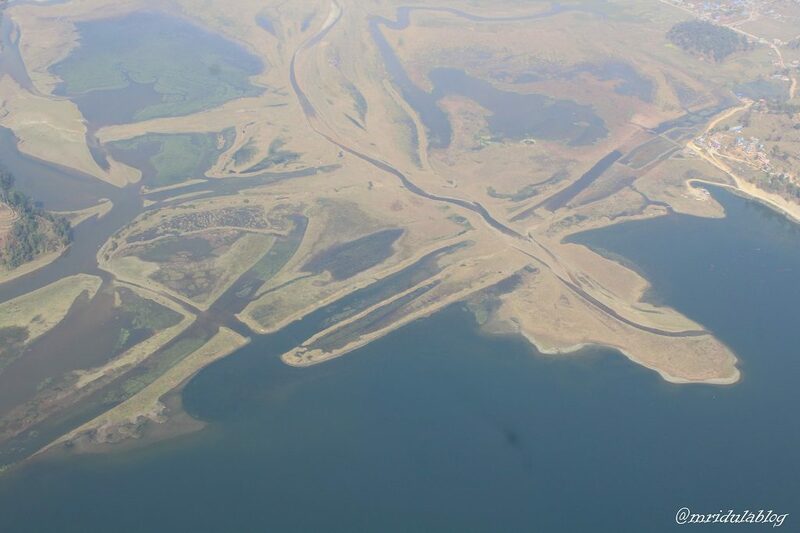 I took my DSLR with me.After getting out of the plane, I had a quick word with my pilot Binayak Bastola. Soon, I was wearing a jacket, helmet and I was seated at the back of the small cockpit.Among other things, I asked if flying has become a routine for him? I guess there is something wrong with the word ‘job’itself, What was an eye popping, windswept exotic experience for me, is a routine job for Binayak! PS.Anything that could fly off, like the lens cap was taken away.Hand signals are used to convey essential messages.Like always a lot of viewing happened through the viewfinder! 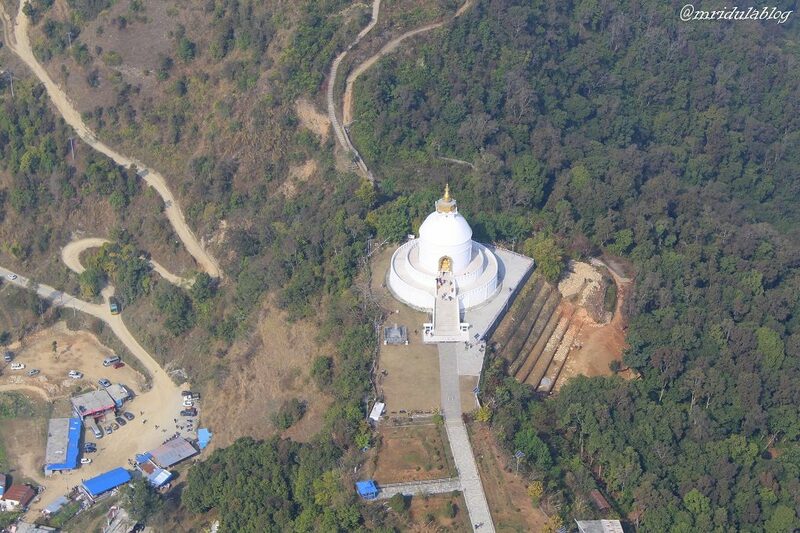 Early into the flight the aircraft flew over the Shanti Stupa! I felt like a drone clicking the pictures from the top! I know I should feel like a bird, but I felt like a drone, so that is what I am going to say.Within a few minutes into the flight I realized it was a wise thing to do. On my recent trip to Nepal, I did something for the first time! 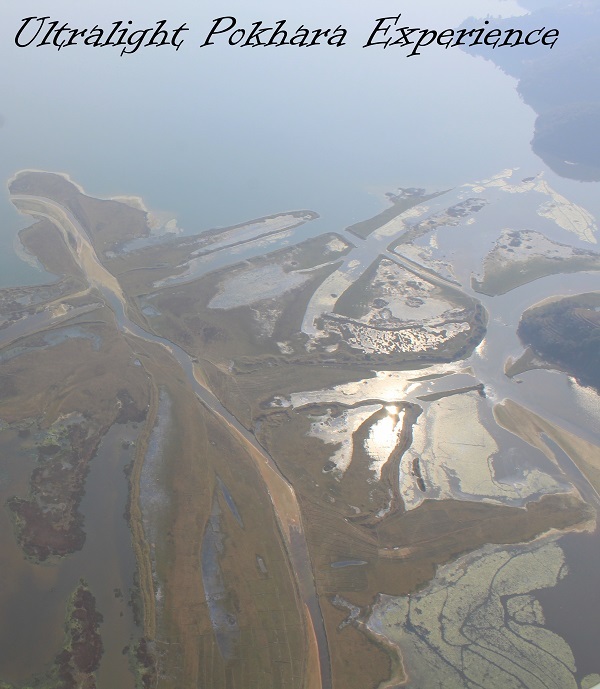 I sat in the passenger seat of an Ultralight open aircraft and off we went to the skies!